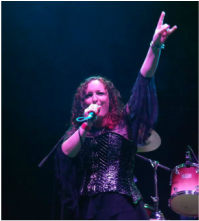 "We were fortunate enough to have Rebecca sing at our wedding in November 2018 along with an acoustic guitarist, Ben. She was just perfect. Everything we wanted and more. Her vocal range is amazing. 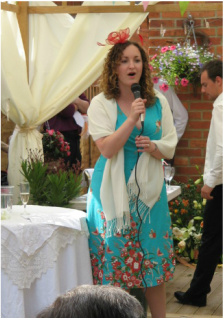 "As a mature student, I came to Rebecca because I lacked confidence and vocal range to sing my mixed voice choir. Rebecca made me discover my head voice! Opening a whole new range above top B! She is helping me with a great variety of exercises to work on bridging the gap between head and chest voices. Understanding better the impact of breathing and posture on the quality of the sound (or even the possibility sometimes to produce some notes!) under her guidance, is an exciting journey.